I posted pics of this table runner a week or so ago when I finished it. 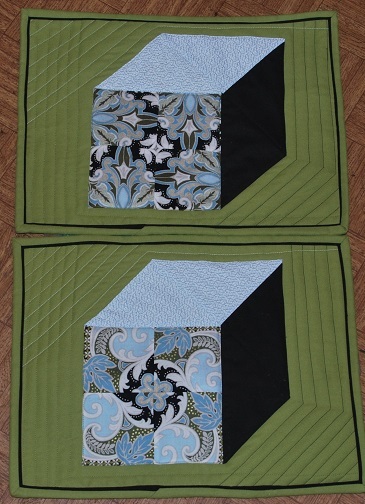 I had some extra fabric left over from it so made six coordinating place mats to go with it. Beautiful. You will have a table setting worthy of Martha Stewar. They look great and great idea. Nice. The tumbling block look never goes out of style. Nice set. I've been thinking about making a set. You have given me inspiration.